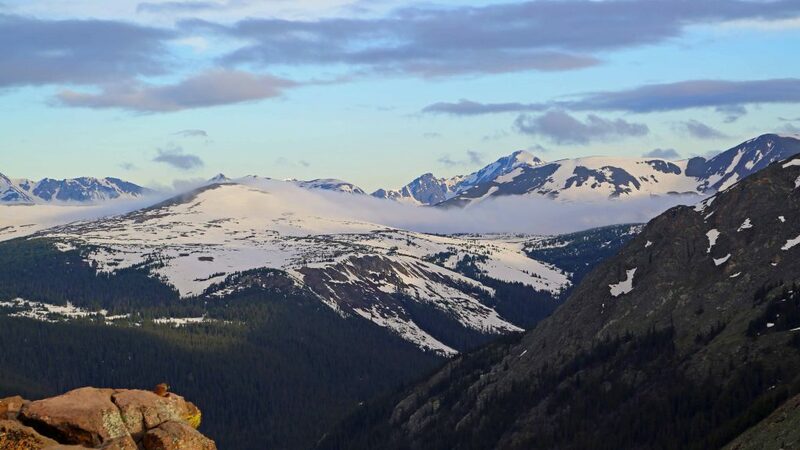 You don’t have to be a mountain climber to enjoy the beauty of Rocky Mountain National Park. The awe-inspiring vistas, the sheer mountain faces, and elk everywhere greet you when you visit Rocky Mountain National Park. Rocky Mountain National Park Travel Tips! Hiking, Summer, Fall, Winter, what to pack for Colorado and more! Timing– Sunrise is amazing in the park plus you have a great chance of seeing wildlife with a lot fewer people in the park with you. The park is open year-round, but Trail Ridge Road is closed from mid-October to Memorial Day. For current Trail Ridge Road status call 970-586-1222. 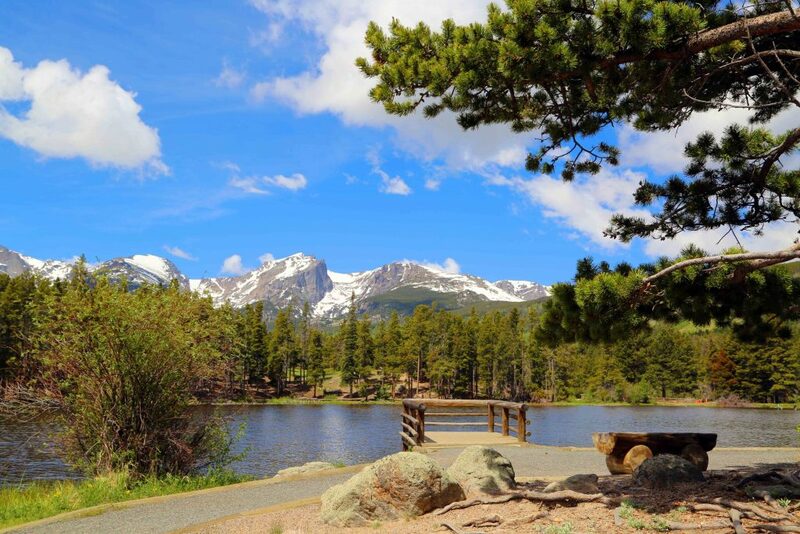 Where to stay – Estes Park is the closest town to Rocky Mountain National Park. There are hotels, restaurants and the main street filled with gift shops and candy stores. Rocky Mountain National Park is blessed with some of the prettiest mountains and lakes you could ask for, They also have a very large elk population with over 3000 elk in the summer and fall and 600-800 spend the winter in the park. Download the Rocky Mountain NP Park Brochure and Park Newspaper before your trip! 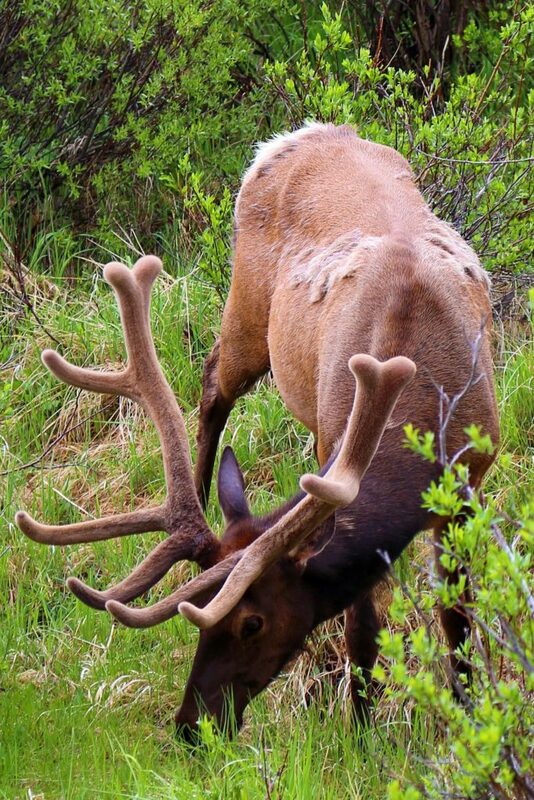 During Fall head into Rocky Mountain National Park to hear the elk bugling. Check out Horseshoe Park for viewing of the Elk. During rut, volunteers are available to answer questions about the elk. Check out #EstesElkWatch on social to see updates on Twitter and Instagram for where the biggest elk herds are located. Be aware of altitude sickness. Symptoms include headaches, nausea, fatigue, dizziness, vomiting and in acute situations even unconsciousness. If you have heart or lung disease, know that high altitude can aggravate these medical conditions. Take your time and be sure to drink plenty of water. The only cure for altitude sickness is to go to lower elevations. Cell service is spotty at best depending on your location in the park. Many areas do not have any cell service. Pets are prohibited on ALL Rocky Mountain National Park trails, tundra and meadow areas. Leashed pets are only allowed in picnic areas, parking lots, campgrounds and along roadsides. Weather can change in a second. Snow can fall any time of the year, especially at high elevations. Be prepared with proper clothing and layers. If you are visiting the park in the summer be prepared for it to be busy. 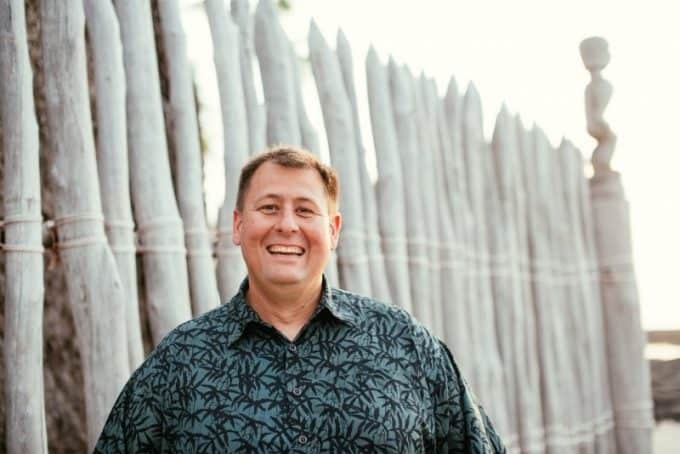 Make your camping and lodging reservations early. For current Rocky Mountain trails reports visit www.nps.gov and follow the Road, trails, and long peaks condition and closure link. A free shuttle bus runs within Rocky Mountain National Park. The routes include Hiker Shuttle Express Route, Bear Lake Route, and Moraine Park Route. Pick up a current park visitor brochure to see the current bus stops. Alpine Visitor Center – The highest visitor center in the National Park Service is located at 11,796-foot elevation. There are amazing views over the tundra, interpretive displays, a bookstore, gift shop, and cafe. The Alpine Visitor Center is only open when the Trail Ridge Road is open. Open: Memorial Day weekend through mid-October, depending on the weather. Daily hours: 9 am – 5 pm. Beaver Meadows Visitor Center – Near the Beaver Meadows Entrance on US Hwy 36 west of Estes Park. This visitor center offers a free park movie, bookstore, and park information. Open year-round. Reduced hours in Fall, Winter, and Spring. Closed Thanksgiving and December 25. Fall River Visitor Center – Near the Fall River Entrance on Highway 34 west of Estes Park. This visitor center offers life-sized wildlife exhibits, interpretive displays, and a bookstore. Open: Late Spring through mid-Fall. Summer hours: 9 am – 5 pm. Closed for winter except for select holiday dates: 9 am – 4 pm Nov 25 and 27, Dec 3-4, Dec 10-11, Dec 17-18, Dec 19-24, and Dec 26-Jan 1. Closed Thanksgiving and December 25. Sheep Lakes Info Station– Weather permitting this station is located in Horseshoe Park on Highway 34 west of Estes Park. The info station has ranger programs and information on the area. This is a great place to look for bighorn sheep and elk. Open: Spring and early Summer. Daily hours: 9 am – 4:30 pm. Kawuneeche Visitor Center – Located in the Grand Lake Area on Hwy 34 north of Grand Lake. This visitor center has park info and maps, a free park movie, interpretive exhibits, a bookstore and back country camping permits. For more information check out the Rocky Mountain National Park section on the National Park Service Website. You can also call 970-586-1206 for information. How much does it cost to visit Rocky Mountain National Park? Valid for the date of purchase. Covers single, a non-commercial vehicle with 16 or fewer passengers. Purchase online. Valid for the date of purchase. Applies to walk-ins, bicycles, and non-commercial groups. Valid for the date of purchase. Covers single motorcycle. Valid for seven consecutive days (including date of purchase). Covers single, a non-commercial vehicle with 16 or fewer passengers. Purchase online. Valid for seven consecutive days (including date of purchase). Applies to walk-ins, bicycles, and non-commercial groups. Valid for seven consecutive days (including date of purchase). Covers one motorcycle. Unlimited entry for one year from date of purchase. Purchase online. Unlimited entry to both areas for one year from the date of purchase. For more information on National Park Passes check out this post. Is there a Junior Ranger Program at Rocky Mountain National Park? Yes, You can pick up a free junior ranger program at any of the visitor centers within the park. You can also print the junior ranger booklet and other educational booklets ahead of your trip here. Can I bring my Dog/Pet with me to Rocky Mountain National Park? Pets are prohibited on ALL Rocky Mountain National Park trails, tundra, and meadows. Pets must be kept on leashes no longer than six feet. Rocky Mountain NP was once home to a private run ski area called Hidden Valley. The lifts and lodge have been removed but you can still sled and back country ski in the area. Do you know how many National Parks you have visited? Check out this printable list of National Parks to check off which ones you have visited. You can also check out a list of Colorado National Parks to see which ones are nearby during your vacation. Through winter, the Information Office is open 8:00 am–4:30 pm Mon–Fri. 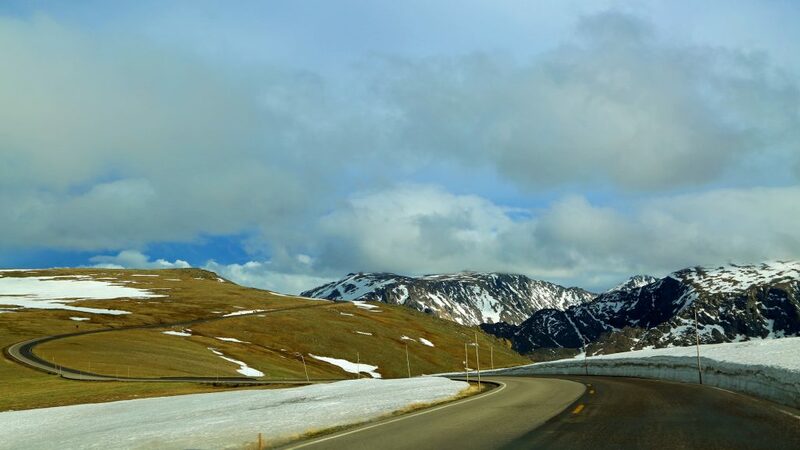 Recorded Trail Ridge Road status: (970) 586-1222. Check out all of the great Colorado National Parks! Thanks so much for this wonderful read. Helps a lot! With first time visitors, where would you reccomend for us to start at for some hiking, nothing insance as we will be have our 3yr old daughter with us. We are hitting the road from Scottsdale, AZ and looking forward to exploring the Rocky Mt. for the first time. If we do a day of hiking, is it allowed to camp anywhere or there are only designated camp areas? Again, this our first time, any tips would surely be appreciated. Much love from AZ! Hi there! Sorry, I just noticed your question and hope it’s not too late. There are 5 campgrounds in Rocky Mountain and tons of hotels just outside the park. There are also over 300 miles of trails in Rocky Mountain but my favorites included Sprague Lake and the Bear Lake area. Having pets is tough while visiting parks. I found this link why the NPS does not allow pets at Rocky Mountain. https://www.nps.gov/romo/planyourvisit/pets.htm Hope this helps & have a great time in the park!